Approximately 350 Elekta employees, in addition to national and local political figures and distinguished guests, convened in Crawley, UK, to preside over the unveiling of Elekta’s new Cornerstone center. Designed to serve as a magnet for oncology innovation in the coming decades, the ribbon-cutting ceremony cemented Crawley’s reputation as a world-leading hub for the development of precision radiotherapy technologies since the late 1950s. “This new facility has already changed the way we work, thanks to the inspiring interior and exterior design,” says Steve Wort, Elekta Chief Operating Officer. “We take time to talk to each other face-to-face and there is a new energy and passion that Cornerstone is instilling in our professionals. Also in attendance was Torbjörn Sohlström, the Swedish Ambassador to the United Kingdom. 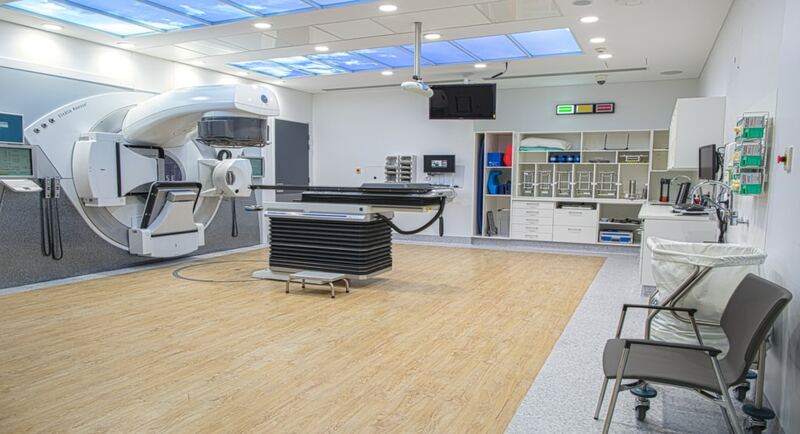 Included in the inauguration events were guided tours of Cornerstone, featuring working examples of key Elekta technologies, such as Versa HD™, the world’s most advanced linear accelerator and Elekta Unity, the company’s groundbreaking high field MR-linac. More than 60 years ago the world’s first digital linear accelerator was developed and built at the company’s Crawley hub. 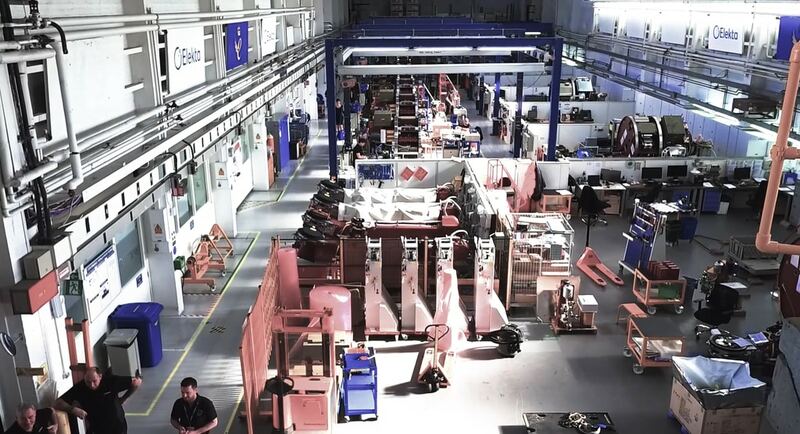 The original Crawley facility maintains its preeminence in radiotherapy production and, to date, about 4,800 current model linacs have been manufactured in Crawley, of which more than 2,000 were built in the last seven years. 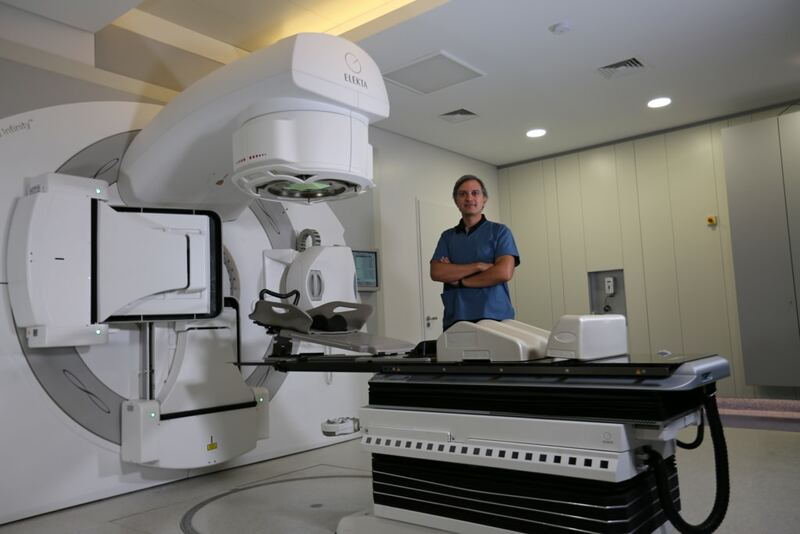 It should also be noted that Elekta was the first company to integrate sophisticated image guidance in its linacs and developed Agility MLC here, the market’s highest performing beam shaping device. Elekta’s latest ground-breaking contribution to Crawley’s reputation for radiotherapy innovation is the company’s Elekta Unity MR-linac, which was developed at the Crawley hub. Elekta Unity integrates the precision application of therapeutic radiation with the unsurpassed image quality of high field (1.5 Tesla) magnetic resonance. This hybrid technology gives doctors the ability to “see what you treat” while the radiation beams are being delivered, thus enabling clinicians to adapt the treatment in real time. On August 22, doctors at University Medical Center Utrecht in the Netherlands began treating cancer patients with the now CE-marked Unity system. Additional clearances are expected in the coming months for other regions of the world. Elekta Unity has CE mark and 510k clearance but is not available in all markets.